On this website you will find ideas and information about plurilingual approaches. They have been designed to help teachers of the language of schooling (e.g. French in France, Polish in Poland) to integrate learners with other first languages into their classes, to get them to recognise the links between their own or their parents' cultural background and that of the school language - and at the same time to enrich the cultural and linguistic experience of all learners. These approaches are intended to complement and enhance the central priorities of the teaching and learning of the school language as a subject - expressing themselves correctly and fluently, experiencing and understanding literature, and developing academic discourse. Are you a teacher of the language of schooling or studying to become one? If you teach the language of schooling in a linguistically and culturally heterogeneous learning environment, this website is for you. What do we mean by the language of schooling? The term language of schooling is normally used to refer to the official language of a state or region: for example, Dutch in the Netherlands, Bulgarian in Bulgaria or German in Germany. It is also referred to as the language of instruction, the majority language or the mother tongue. The subject of the language of schooling is referred to in different ways in different countries: for example, English language arts, Polish and mother tongue and literature. We have chosen the term language of schooling because it is easily understood in the context of teacher education and it is the term used by the Language Policy Unit of the Council of Europe. the language of schooling is not the home or first language of an increasing number of learners. These learners are often plurilingual, with differing degrees of competence in two or more other languages. Teachers of the language of schooling, with appropriate guidance and resources, can draw on these other languages to support their students' learning. 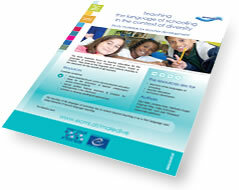 discover how plurilingualism can become an asset in the context of the language of schooling. The teaching of the language of schooling has to extend beyond teaching it as a first language and adopt elements of second language teaching. These pages result from a project run within the ECML's Learning through languages programme entitled "Teaching the language of schooling in the context of diversity" (Maledive).